Florida Fruit & Vegetable Gardening is an easy-to-use guide. Full-color images illustrate the more than 25 fruits and berries featured, plus more than 35 vegetable recommendations. Helpful growing tips, charts, and maps show you the best edibles for the exact location where you live in Florida. 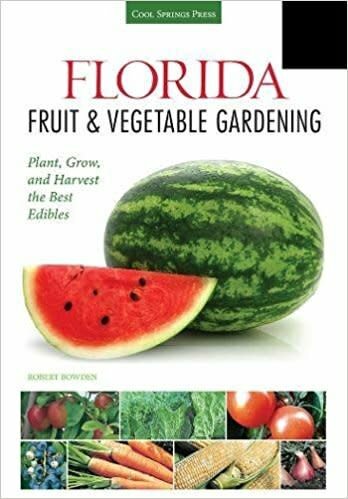 It is a perfect book for long-time Florida gardeners as well as newcomers to this state.